Q: Should my blush and lipstick match? A: Just as your purse should complement your heels rather than match them exactly, so should your blush bring out the best in your lipstick — and vice versa. Consider these cheeky combinations to enhance your cosmetic wardrobe. Luminous without a trace of glitter, La Prairie's blush is the holy grail of cream blushes — start with a light application and layer on to build color. YSL's plumping lip shine uses hyaluronic acid spheres to minimize fine lines. 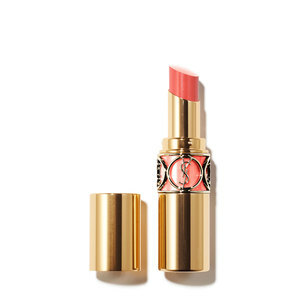 The sheer coral shade gives a juicy pop of buildable color. 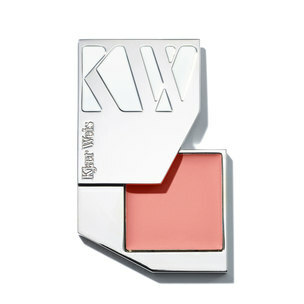 Kjaer Weis' blush is hydrating, long-wearing, and 100% organic. Housed in a sleek refillable compact, the cream formula blends on easily with fingertips. 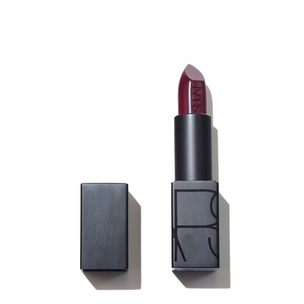 Nars' ultra-moisturizing lipstick formula makes this dramatic wine shade flattering and wearable. Tap onto the center of lips and blend outwards with a brush for a sheer stain. Kevyn Aucoin's blush smooths over skin for a flawless finish. The warm-bronze shade can be worn anywhere the sun might hit—cheeks, temples, nose, and chin—for a healthy glow. This Tom Ford color is like your natural lip shade but better — the perfect pink to enhance any complexion. Do you require answers to your most pressing beauty, skin care and hair care concerns? Send your cosmetic queries to our beauty experts at askviolet@violetgrey.com.